Renault are highly sceptical of the new 2019 aero regulations aimed at improving overtaking in Formula 1. Rule changes have forced Formula 1 teams to design all-new aero for 2019, with the revisions aimed at improving overtaking through simplified components – most notably towards the front-end of the cars. 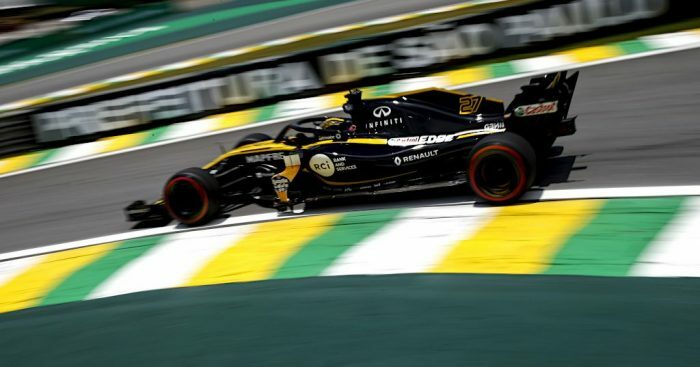 The brainchild of F1 sporting chief Ross Brawn – he has suggested the sport could see a 20 percent improvement in the qualify of wheel-to-wheel action this year, but Renault are among a number of teams to have expressed concerns. Speaking to Crash.net, Renault executive director Marcin Budkowski said: “Overall we were against this regulation change. “Initially we voted against it and we made that public at the time because we didn’t believe it was going to reach the objectives that it was set to reach, which is to ease overtaking. “We think it will go in the right direction a little bit, but we don’t think it’s going to make a significant change. “We felt it was a lot of resources and a lot of money, a lot of last minute work that had to be done for a very unclear objective. “On paper it is the right direction and some of the work that’s happening for 2021 is along a similar line. “The difference is going to be smaller in terms of aerodynamic performance – whether that is actually going to translate onto the track into easier overtaking and easier following, in our opinion it’s going to be fairly small. “But if that’s not the case and suddenly we have lots of close following and overtaking then great, we will be happy about that.